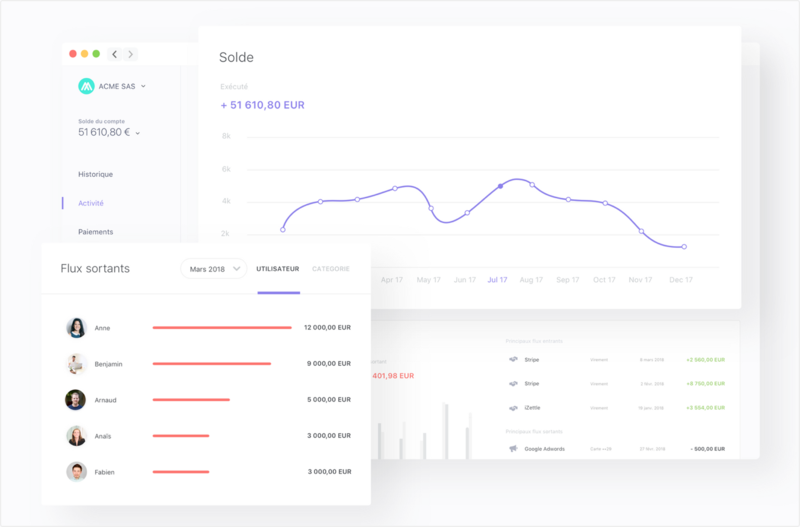 Qonto is a french startup offering business bank accounts for freelancers, companies, and company creators. In 2019, they are now trusted by 40,000 businesses. In August 2017, we were among the first customers to choose Qonto for the bank account of our new company. We wrote a first review about them (in french). In March 2019, after having used Qonto for 18 months, here is our updated opinion on the "neobank" for freelancers, startups and SMEs. Some links on this page are affiliate links. When you sign up through them, we earn a small commission. We recommend Qonto first and foremost because we are satisfied customers, and are confident that they provide a valuable service for entrepreneurs. If you hate affiliation, you can use this unaffiliated link to sign up. Qonto grew from 0 to 40,000 business customers in 18 months. What is the quality of service in this context of explosive growth? Is the website overloaded? The apps slow? The support team overwhelmed? From the start, Qonto's app had a much better design than their traditional banking competitors. Their clear and uncluttered interface was a determining factor when we compared them to other players. However, during the first few months, we could notice a slight lack of polish. For example, the layout was not ideal on small screens, with horizontal scroll issues and a menu difficult to access. These problems have been solved since last year. Our impression of fresh paint from the beginnings is dispelled. The apps are intuitive, fast, and have a nice design. The user experience is consistent with the web application. We appreciate the fingerprint authentication. No need to enter the password to log in. Convenient and recently released: automatic VAT entry. We recently needed support from Qonto. Our credit card was rejected by Google Cloud, and we could not understand why. Qonto's support team had the explanation: our card was set as a prepaid card. This kind of card, distributed by Qonto at their beginning, could be rejected by some suppliers. Businesses who joined Qonto later do not have this issue. We had to cancel our card and order a new one. 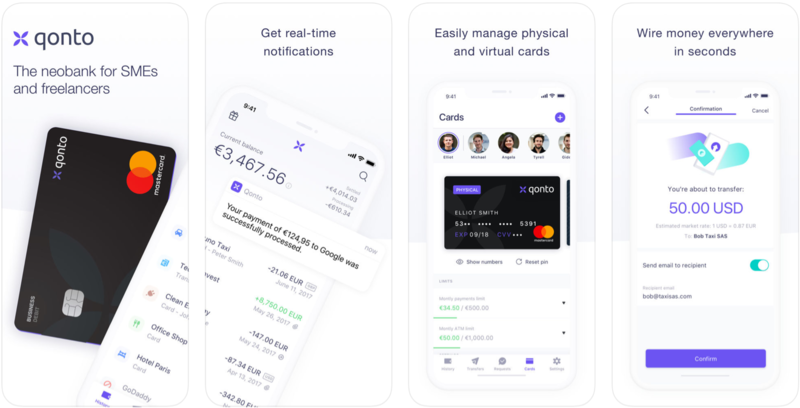 To avoid being without a payment method for a few days, Qonto suggested we generate a virtual card, usable immediately. 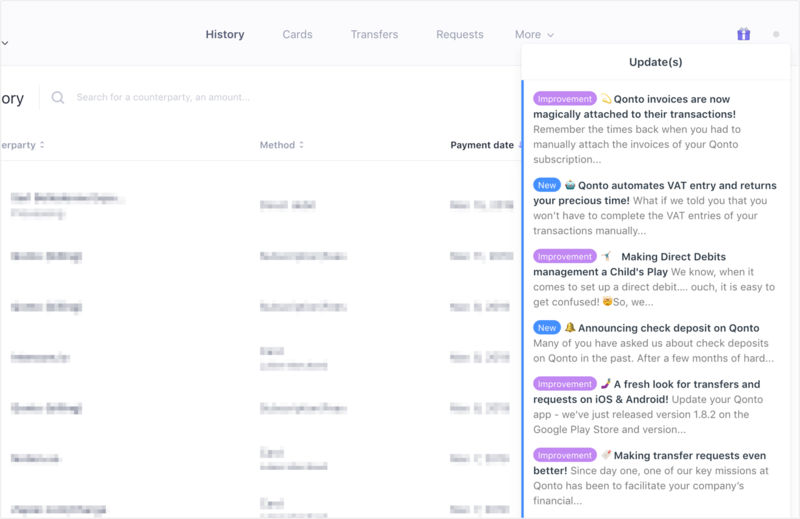 Few reasons to contact the support in 18 months, which is a good sign! Support is reactive. For the situation described above, 8 emails were exchanged within 5 days, with a weekend in the middle. The quality of the exchanges is good. No automatic or approximate answers, all our exchanges were written in impeccable French. When we joined Qonto, the service had just been launched, and their feature set was still minimal. The offer of online banking has evolved a lot since then. With a new funding round of 20M€ (article in french) to support growth, the good news should keep coming! Our accountant was quite surprised when told we chose a bank account that would not allow us to cash checks! This inconvenience is no more. 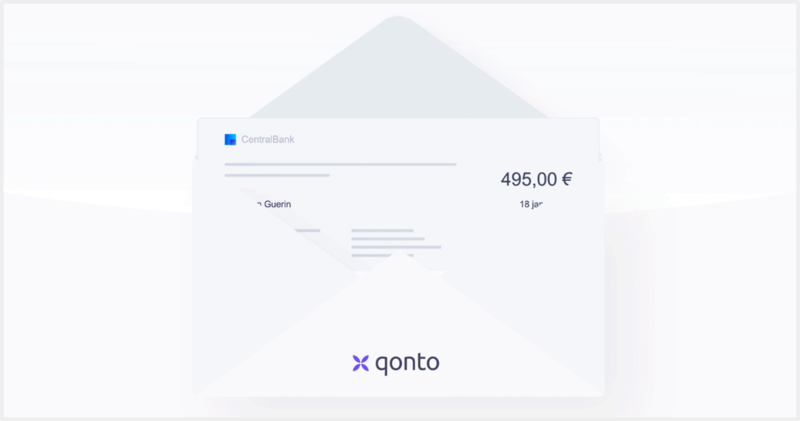 Since January 2019 , Qonto supports the deposit of checks. 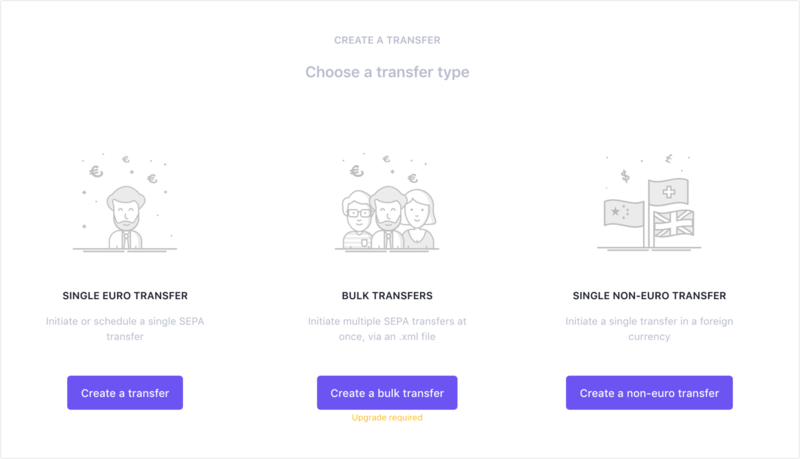 Since February 2018, Qonto supports transfers abroad. In total, 34 countries and 18 currencies are covered. 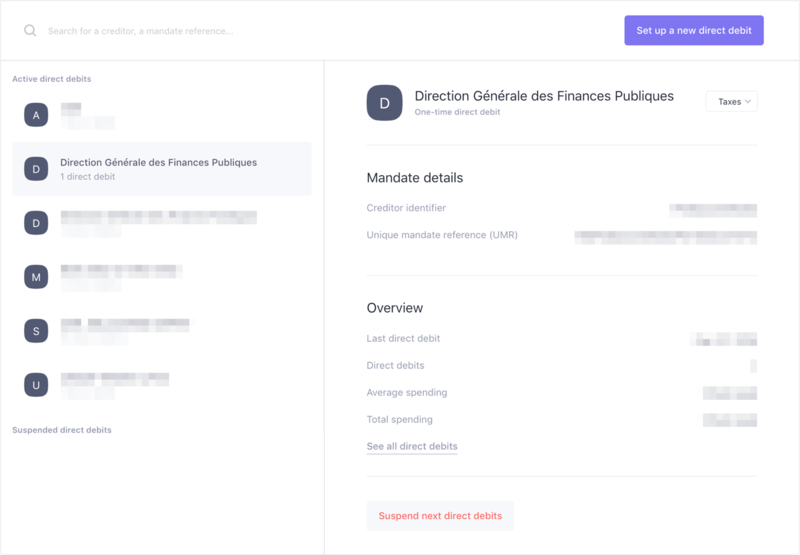 Since the end of 2017, Qonto supports SEPA direct debits B2B, which are necessary for paying taxes — at least in France. The list of improvements is visible in the app, highlighted with a small notification icon. It is also accessible directly here . It's good to see them published so often, we can feel the product is moving forward. After 18 months of use, our opinion on Qonto is extremely positive. We are satisfied with the service and follow the evolution of the product with interest. When we joined Qonto, this choice could seem a little risky. The online bank for the pros had just opened and had no customers yet. But if – as for us – these points are meaningless for your business, there is no reason to hesitate!